Abdus Salam Khan Shifa International Hospital, Islamabad. Shafqat Husnain Khan Poonch Medical College, Rawalakot. Sanniya Khan Ghauri Shifa International Hospital, Islamabad. Objectives: With the rise in the number of published papers in the biomedical field, plagiarism has become a major ethical concern as it has a direct effect on the quality of these papers. The objective of this research was to determine the perceptions of medical students towards plagiarism, the reasons students engage in plagiarism, the types of plagiarism, the consequences of plagiarism, and solutions to the problem of plagiarism. 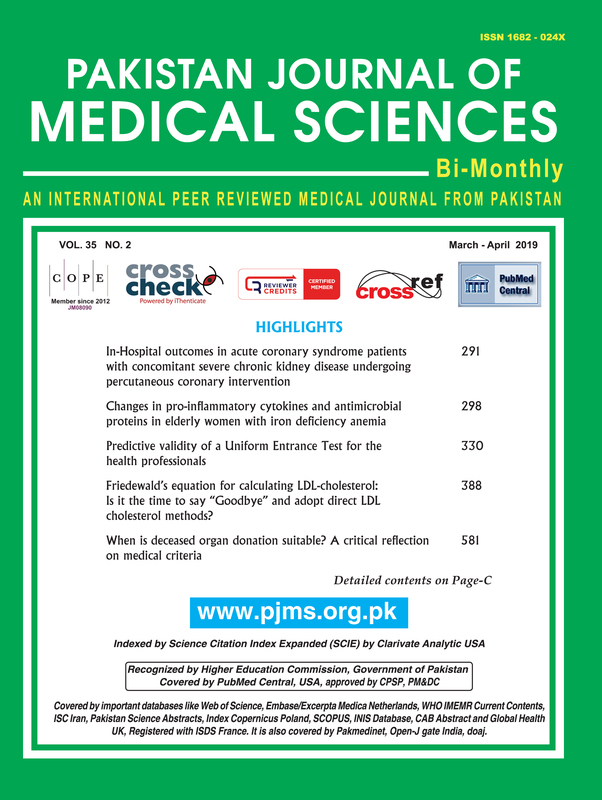 Methods: This is a cross-sectional study conducted in two medical colleges in Rawalpindi, Pakistan from June to September, 2018, using self-administered structured questionnaires. Results: Of the 1100 participants, up to 86.91% (n=956) were not aware of the existence of plagiarism, but the majority, i.e. 71.18% (n=783) have plagiarised the work of others before. Copying from colleagues or senior students is the most common type of plagiarism that medical students engage in owing to the ease with which fellow students’ work can be shared and copied. However, a lack of institutional awareness of the extent to which plagiarism exists, poor vigilance in detecting it, and the absence of clear policies to deal with plagiarism are mostly to blame. Conclusion: Plagiarism is common among medical students in developing countries, and it is necessary to create awareness about the consequences of engaging in this unethical practice both in the academic field and in the larger medical research society, in order to reduce its prevalence.